Our Supplier Diversity Program's objective is to provide certified small, disadvantaged, minority, and women-owned business enterprises with the opportunity to compete to deliver products and services that support the Hertz brands: Hertz, Dollar, Thrifty and Firefly. If you are a diverse business interested in becoming a prospective Hertz vendor, please complete our MWDBE Data Sheet , or you may email us at mwdbe@hertz.com with any questions. We are a member of the National Minority Supplier Development Council and many of its local affiliate councils throughout the U.S. In support of our extensive presence on airports, we are also members of the Airport Minority Advisory Council. 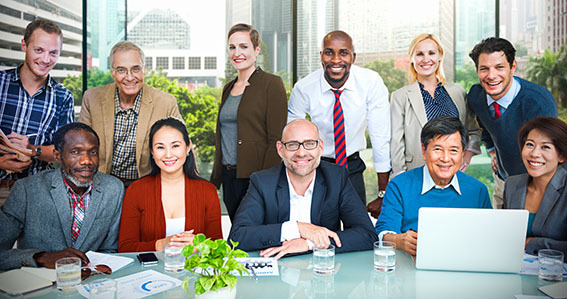 To qualify as a diverse business, the enterprise must be 51 percent owned, operated and controlled by one or more individuals who are disadvantaged, minority, women, veteran, or LGBT, and who are U.S. citizens. Hertz uses the following classifications to determine if business enterprises are eligible for our Supplier Diversity Program. Minority-owned business: A business that is owned by African Americans, Asian-Pacific Americans, Native Americans or Hispanic Americans. Women-owned business: A business that is owned by women from all of the minority groups listed above in addition to Caucasian women. Veteran-owned business: A business that is owned by veterans or service-disabled veterans. LGBT-owned business: A business that is owned by lesbian, gay, bisexual, or transgender individuals. Small business: A manufacturing or mining industry business with no more than 500 employees, or a business in a non-manufacturing industry with $7.5 million in average annual receipts. Disadvantaged business: A small business that is at least 51 percent owned by one or more disadvantaged persons. The disadvantaged person(s) must be socially and/or economically disadvantaged. Hertz also encourages our major purchasing partners to work with our diverse suppliers in an effort to integrate all provisions in the Supplier Diversity Program efforts. This merging of all partnerships maximizes the amount and potential of opportunities in the supply chain, further supporting the many communities we serve. If you are a diverse business interested in becoming a prospective Hertz vendor, please complete our MWDBE Data Sheet, or you may email us at mwdbe@hertz.com with any questions. If you are a small-business owner interested in renting cars from Hertz for your company's use, visit our Business Account Program page.